A win could open up the possibility of the 2018 Kentucky Derby contender running in the Breeders' Cup Sprint. Firenze Fire, who spent the first part of the year chasing the Kentucky Derby dream, will make his next start in the Grade 3, $300,000 Gallant Bob Stakes going six furlongs at Parx Racing on Sept. 22, trainer Jason Servis said Wednesday. Servis chose the Gallant Bob over the Grade 2, $300,000 Kelso, going a mile at Belmont on the same day, because the Gallant Bob is restricted to 3-year-olds. Also, it could open up the possibility of running in the Breeders’ Cup Sprint. “If he ran good we’d have to entertain both,” Servis said, referring to the Sprint and the Dirt Mile. 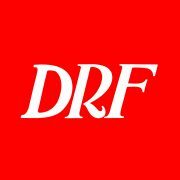 Firenze Fire, who finished 11th in the Kentucky Derby, won the Grade 3 Dwyer going a mile by nine lengths on July 7, then ran third, beaten 1 3/4 lengths, in the Grade 1 H. Allen Jerkens going seven furlongs at Saratoga on Aug. 25. He has not raced at six furlongs since he won the Grade 3 Sanford at Saratoga in his second career start in July 2017. Servis said Sunny Ridge, most recently ninth in the Grade 1 Woodward at Saratoga, is under consideration for the $150,000 Pennsylvania Derby Champion Stakes at 1 1/16 miles or the Kelso at Belmont, both on Sept. 22.